With the demand for more and more Live Streaming Webcams to be made available on camvista.com and mylivestreams.com, we are delighted to announce the launch of our latest Live Webcam Streaming and Hosting Packages! We are now offering Live Webcam Streaming and Hosting with full access and use of our Remote Alert Camera Management facility for as low as £9.99 a month!! Not only do our new Live Webcam Streaming and Hosting Packages offer the option of streaming any Live Webcam on up to 3 domains but we will also offer to promote any Streaming Webcams in the MyLiveStreams Streaming Webcam Section which gets up to 15,000 visitors a day!! Stream an promote your webcam to as many people as you can for as low as £9.99 a month thanks to the MyLiveStreams Webcam Streaming and Hosting Packages! 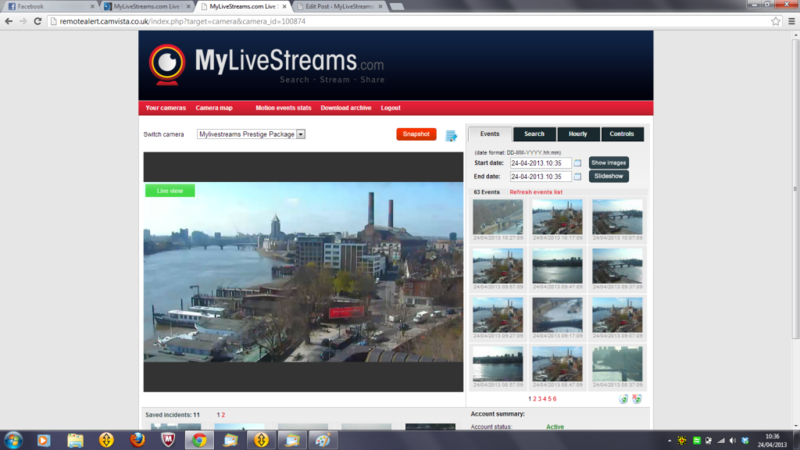 Our new Live Webcam Streaming and Hosting Packages are now offering even more features than ever before!! Streaming on Smart Phones & Tablets, Daily Video Archiving, Hourly Image Archiving, full Remote Alert Webcam Manager application, unlimited simultaneous visitors and much much more. Check out our great Streaming and Hosting Webcam Packages NOW!! With the addition of Remote Alert Webcam Manager, users can now access the control panel of their webcam(s) that are hosted on the MyLiveStreams Webcam Streaming and Hosting Packages from any location at any time on any Smart Phone, Tablet, PC or Laptop with an internet connection. Users can login with a personal secure username and password, view all archived images and videos, take snapshots, save images, email images, take control of webcam and check the webcam status. All of our Remote Alert Webcam Manager accounts can be completely personalized and white labelled with any website colours and logos. Both our Webcam Streaming and Hosting Packages offer a full range of great Streaming Webcam features. The main differences between the Premier Package and Prestige is that users who take the Prestige will not have the Camvista Logo on the Webcam Images, will not have to promote their Streaming Webcam on MyLiveStreams and will have the full archiving features. What Streaming and Hosting Package is best suited to your needs? Our Packages are designed to suit the needs for anyone with an IP Webcam that want’s to have Live Streaming Video on their website(s). The Premier Package is our basic package and our recommended choice for anyone with a Live Streaming Webcam to Promote their own website and feature on our websites Live Streaming Webcam Network. The Prestige Package is best suited for Professional Webcam Operators who don’t want the Camvista.com Logo on the webcam images and want the full features of the Remote Alert Camera Management Application. Camvista are happy to announce that tonight we will be streaming a LIVE Ice Hockey match between Fife Flyers and Sheffield Steelers for FREE online tonight between 7pm and 10pm GMT! This will be the second time that we have streamed an Ice Hockey game from the famous Fife Ice Arena also known as “The Barn”. Unlike the last stream that we did last year, this time there will be Live Commentary throughout the game from the Sky Sports Presenter, Dave Simms. This will be the first time Camvista.com will have done anything like this and we are extremely excited with the prospect of watching one of the biggest games in the Elite Ice Hockey league this weekend LIVE and FREE online!! Thanks to LiveSport.co.uk you can watch this game completely free of charge and enjoy an exciting match between the Fife Flyers and Sheffield Steelers tonight from 7pm!! Tune in and watch some of the best Ice Hockey there is to offer in the United Kingdom and enjoy full commentary of the game from the legendary Dave Simms from Sky Sports. Check out how to watch the Live Streaming Ice Hockey Match for Free with LiveSport.co.uk and enjoy soaking up atmosphere from the famous “Barn”, home of the Fife Flyers. 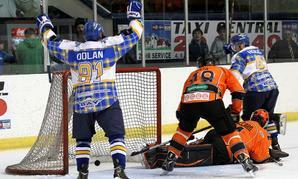 Watch The Fife Flyers v Sheffield Steelers Live and FREE!! Check out the Live Streaming Ice Hockey match between Fife Flyers and Sheffield Steelers Live on the Fife Flyers Website and enjoy this amazing crunch match Live and Free online! Fife Flyers are fighting for a final place in the Play-offs to end what has been a great season for the Fife team at home but a hard season on the road, with a comfortable victory over The Steelers in the Barn already this season Fife Flyers will be looking to continue their good form at home with another win over one if the top teams in the Elite Ice Hockey League. Can the Sheffield Steelers make a push for the top spot in the League with a victory over the Flyers and put the last game they played in Fife behind them? There is certainly a difference in size of teams and team strength, but so many teams this season have struggled to perform in the oldest Ice Rink in Britain in Fife. Will the Sheffield Steelers overcome the tough hostile environment of the famous “Barn” and beat the Fife Flyers or will Fife hold onto their unbeaten record at home for another week and send the English team homeward to think again?? Watch all Fife Flyers v Sheffield Steelers Ice Hockey action Live and Free online on LiveSport.co.uk, FifeFlyers.co.uk, SheffieldSteelersihc.co.uk and enjoy full match commentary with Dave Simms from 7pm GMT. 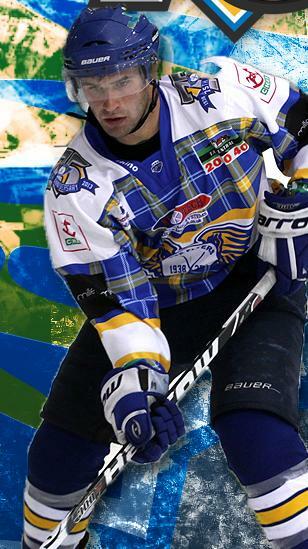 Check out the BEST Live and Free Ice Hockey Webcast with Camvista thanks to LiveSport.co.uk!